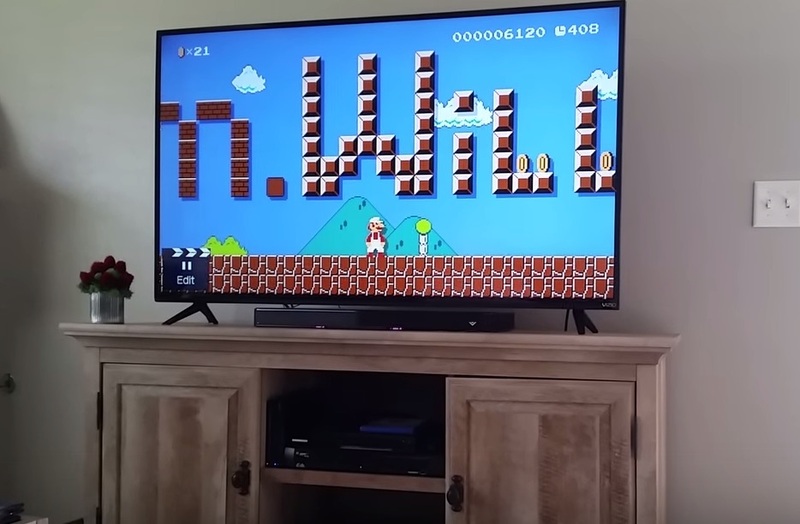 Just when we thought every proposal had been done, one Super Mario fan had to make us all cry happy tears by creating the sweetest level for his own Princess Peach to play. Shane Birkinbine of Bentonville, Arkansas posted a video to YouTube last Saturday called “I proposed to my girlfriend in Mario Maker!” The two-minute video shows Shane’s girlfriend, Pam Edwards, playing the level, with *no* idea that she’s about to be asked one of the biggest questions out there. A minute or two into the level, we start to see a message spelled out in blocks. “It spells out your name, I think?” he tells her. She said yes. . . and then, “Of course.” And her reaction was absolutely beautiful, and AHHH TEARS. Oh, and in case you’re wondering, the ring was also presented with a Super Mario theme, fit for Princess Peach.